Quilting Adventures: Rip it....rip it....! Way too many mistakes for my liking. And... you know what happens when you make mistakes? Out comes the seam ripper..... Yep, spent 4 hours ripping out a design all because I was in a hurry! Sigh! 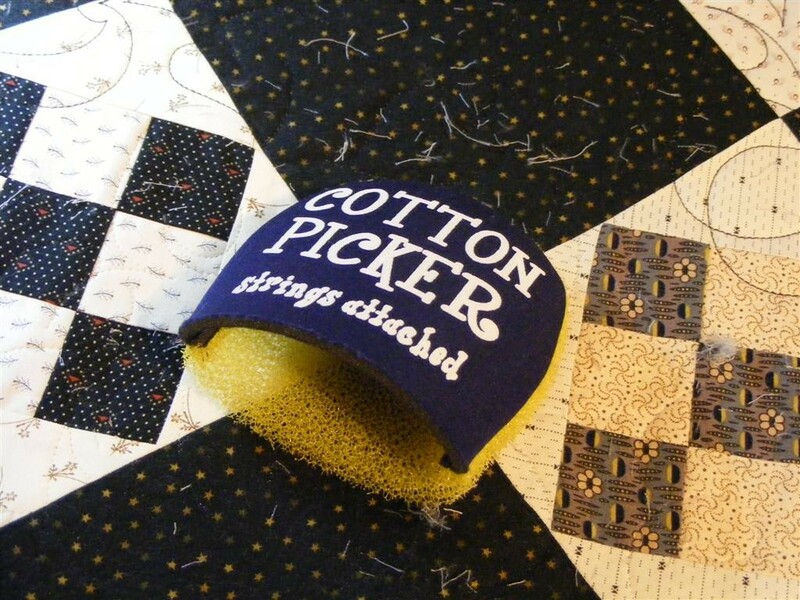 It's called a Cotton Picker! That little gadget was quite useful to help rid of the threads left behind from croaking! It certainly made thread clean up more tolerable! Now that I'm done croaking, perhaps I can get Hocuspocusville machine quilted! I hate ripping out stitches, lol. Oh grrr....but I love the cotton picker! Sorry about your froggy throat LOL. Never heard of a cotton picker -- much check it out! I could have used one of those cotton pickers awhile back. I wish you no more croaking and I can see your Hocuspocusville quilt sooooooon.